The R.M.S. Titanic: One of History's Greatest Nautical Tragedies. 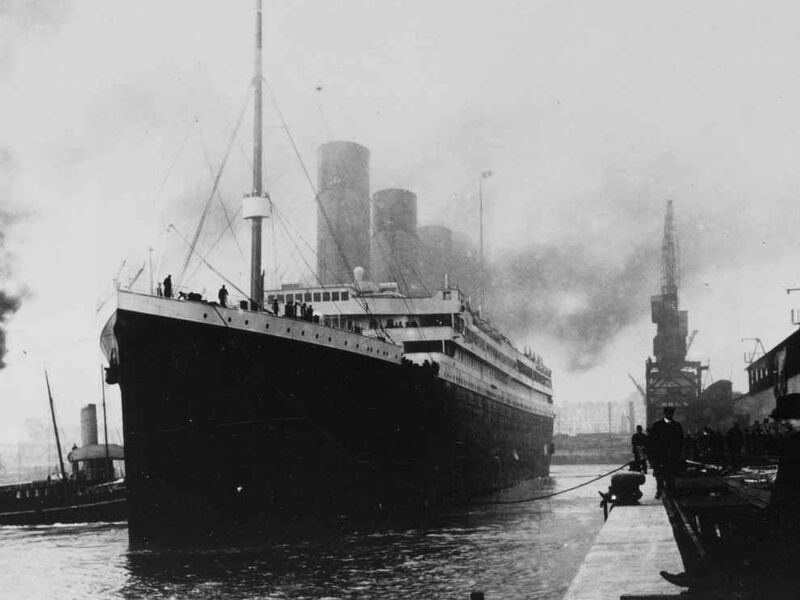 The Titanic sailed out of Southampton, England, on its maiden and only voyage on April 10th, 1912. Construction of the ship began two years earlier in Belfast, Ireland and was completed March 31st, 1912. Days after setting sail, on April 15th, 1912, the Titanic sank after colliding with an iceberg. The R.M.S. Titanic departed from Southampton, England, for the first and only time on April 10th, 1912. The Titanic had nine decks with separate areas for first-class, second-class, and third-class passengers. There were close to 2,200 people aboard for the ship's maiden voyage. Captain Edward J. Smith was a veteran of the seas. 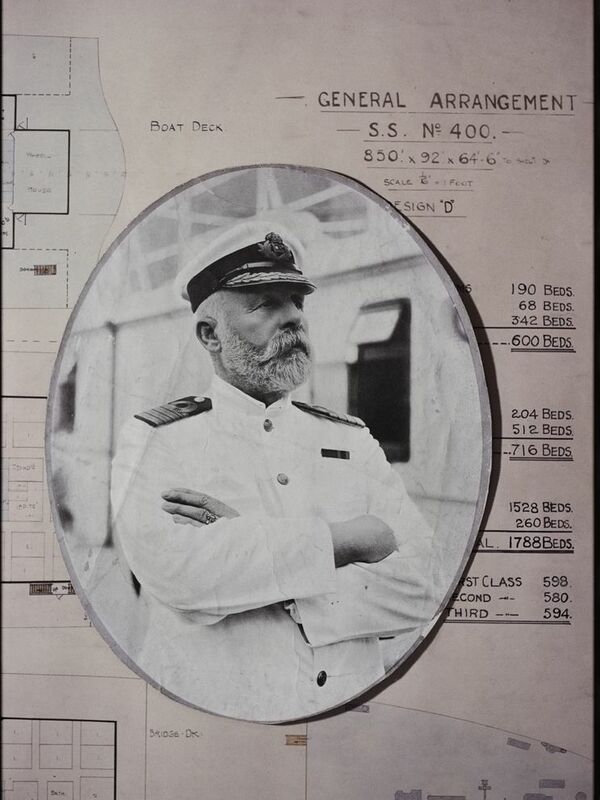 Commanding Titanic's maiden voyage was to be his last mission before retirement. Sadly, Captain Smith went down with the ship. The Daily Echo, a newspaper from Halifax, Canada, reports on the sinking of the R.M.S. Titanic. 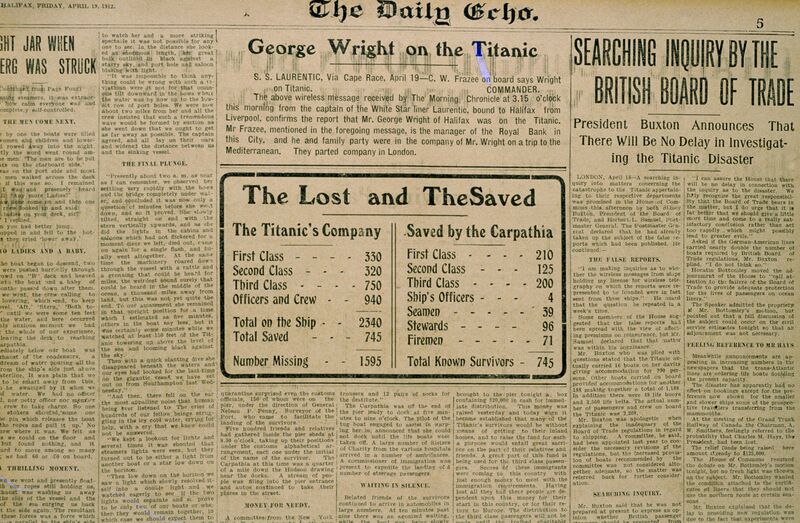 The paper reports that over 1500 people were lost in the sinking and that 745 survivors are accounted for. Today, many sources agree that there were only 705 survivors of the Titanic disaster. This discrepency reflects the chaos in the aftermath of the sinking. 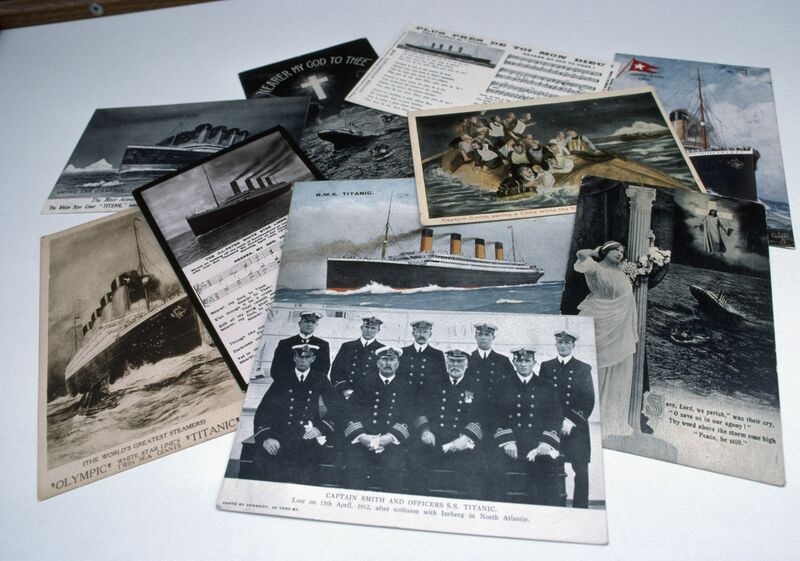 A series of commemorative postcards was issued in New Jersey shortly after the sinking of the Titanic. Before it sank, Titanic was heralded as unsinkable--- a claim that sadly proved to be untrue. Some of the many factors that contributed to the Titanic's sinking were choices made by the ship's designers. These decisions were later investigated through British and American inquries. While looking for the Titanic, expedition crew members gather in the control room to examine sonar read-outs. Sonar is a method of determining the presence and location of an object using sound waves. The expedition to find Titanic took place in 1985 and was led by Robert Ballard and Jean-Louis Michel. 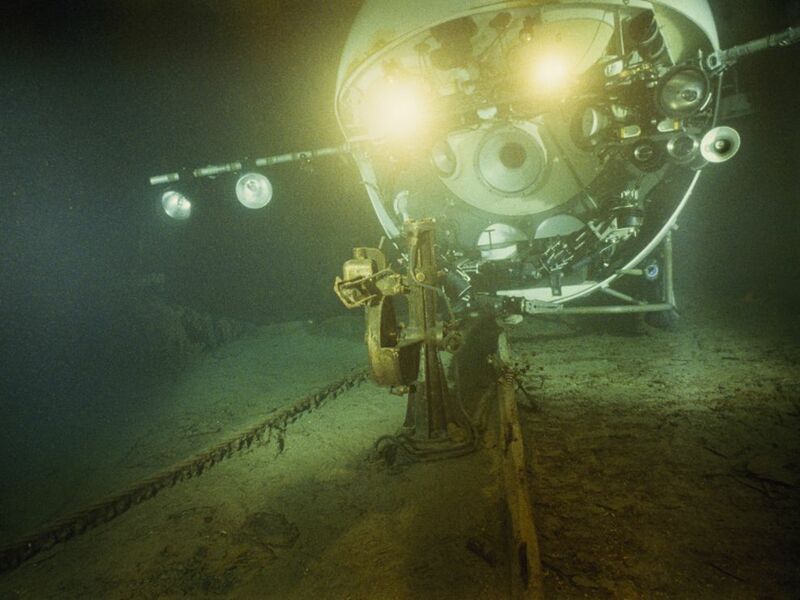 The submersible Mir 2 lights expose the bronze telemotor once used to operate the steering gear on the bridge of the R.M.S. Titanic. A telemotor is a hydraulic device that connects the movement of the wheel to other parts of the ship. At its time, Titanic was the biggest ship that had ever been built and was a feat of modern engineering. 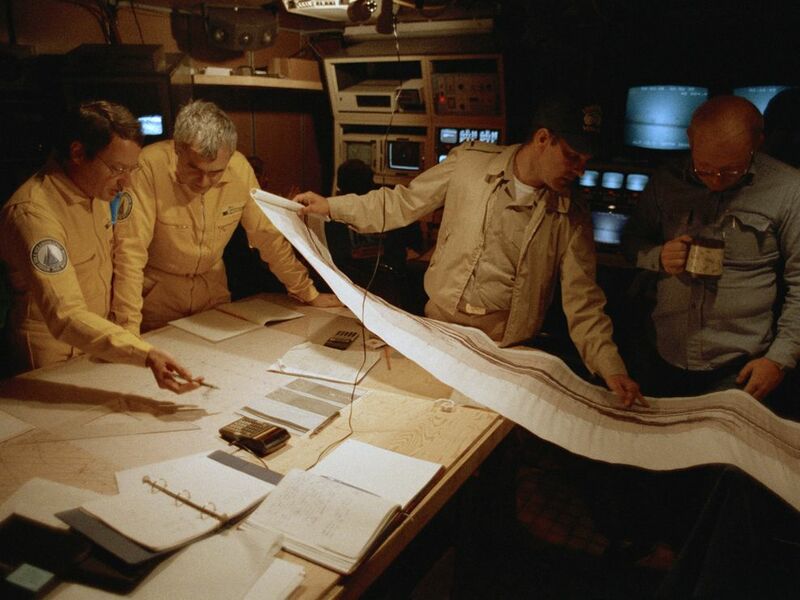 Dr. Robert D. Ballard oversees the progress of the expedition to locate the R.M.S Titanic in 1985. Ballard co-discovered the Titanic while on a secret navy mission to locate the sunken Cold War submarines, Scorpion and Thresher. In his search for the subs, Ballard learned about debris fields and was able to apply this knowledge to his search for the Titanic. The rusted prow of the R.M.S. Titanic ocean liner sits in the dark waters of the North Atlantic ocean off the coast of New Foundland. 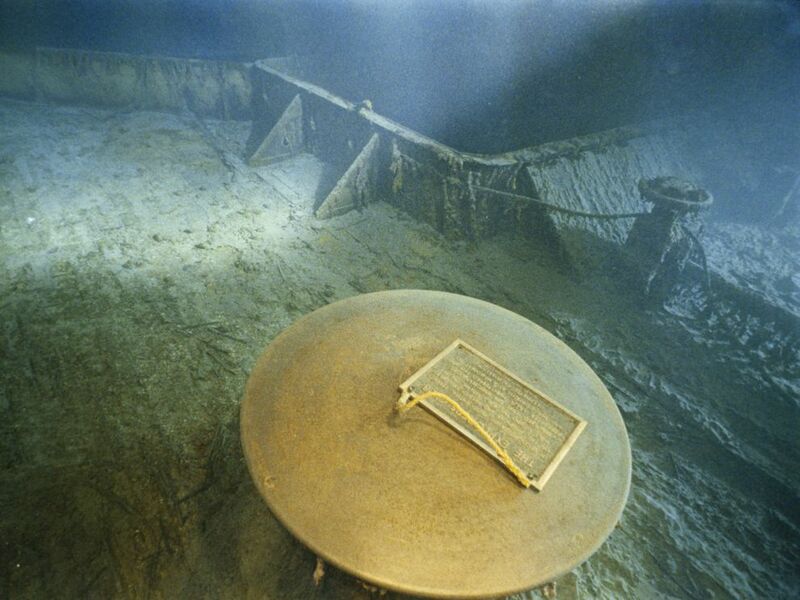 While this is an iconic image of the sunken ship, the boiler of the Titanic plays a more important role in the ship's history. Until its discovery in 1985, the location of the Titanic was a mystery. 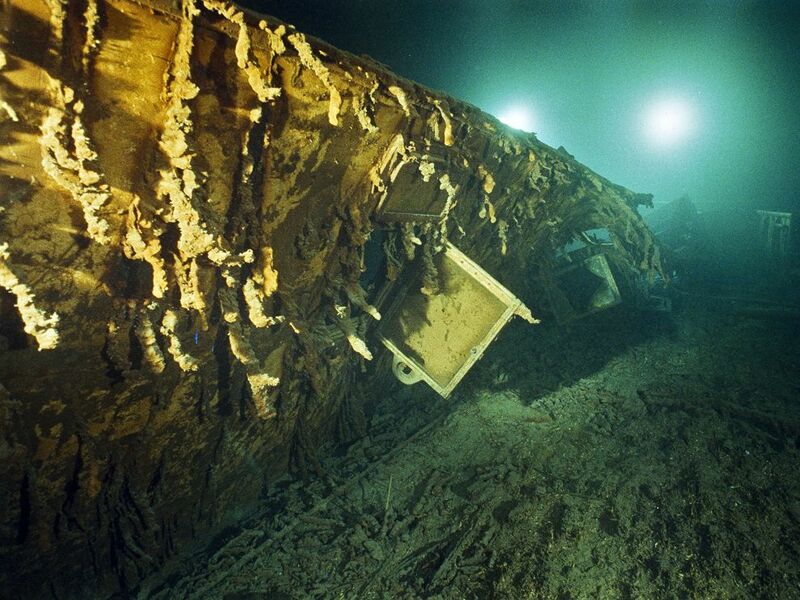 Robert Ballard, co-discoverer of the ship, said that he and his team knew they had found Titanic when the team spotted its boiler on the ocean floor. The Titanic had two four-story-high reciprocating engines, which drove out the board propellers of the ship. These engines propelled the Titanic forward. 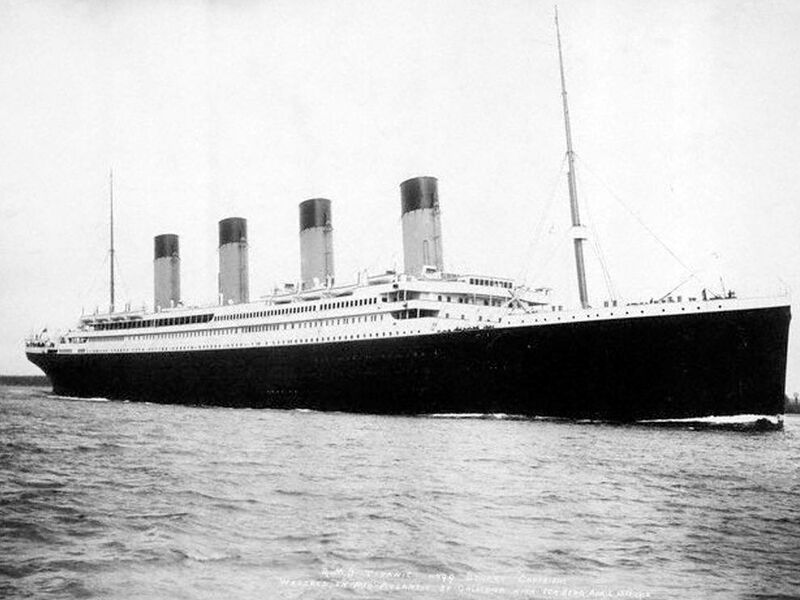 The top speed of the Titanic was 24 knots (27 miles per hour). 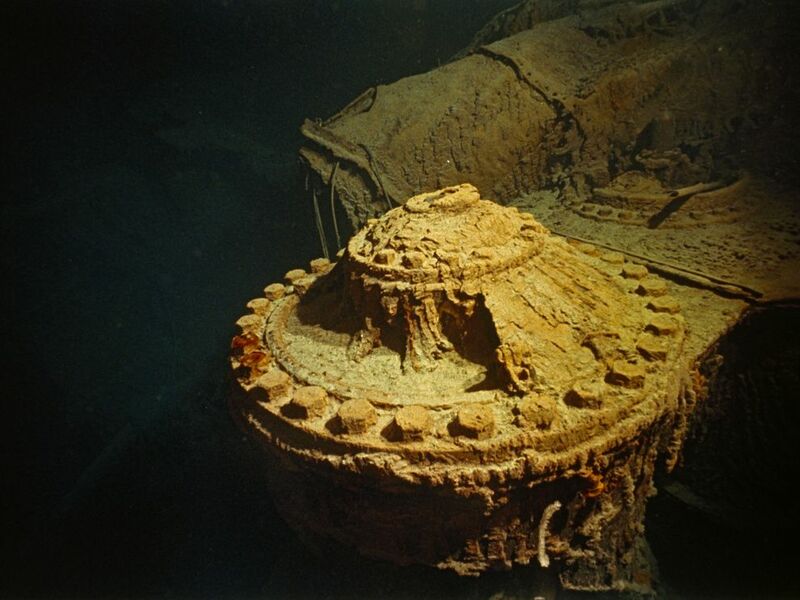 The engines now sit silently at the bottom of the North Atlantic ocean, covered in rusticles. 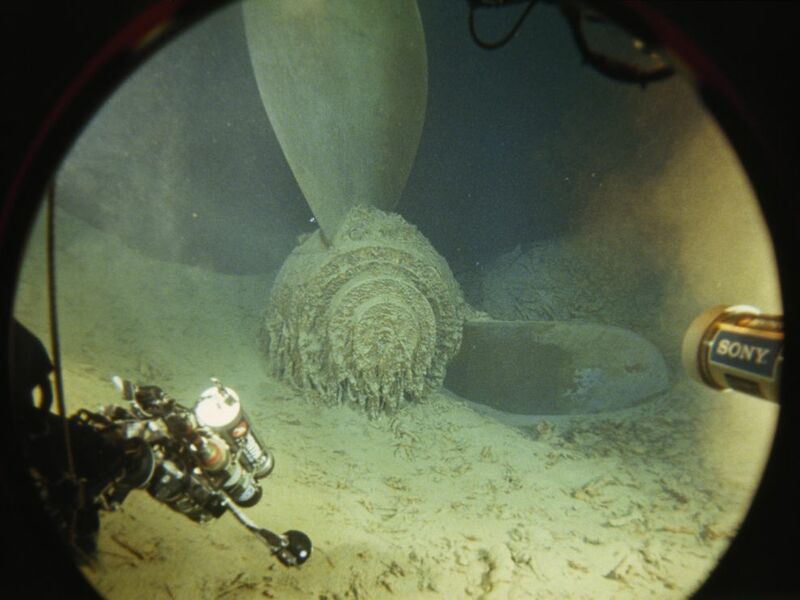 The propeller of the R.M.S. Titanic is seen from the Mir 2 submersible porthole. 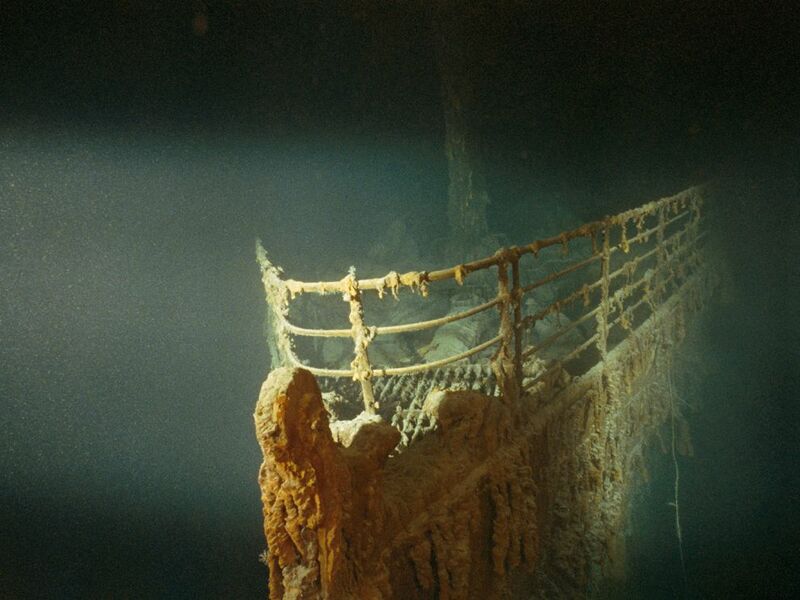 Until its discovery in 1985, the location of the sunken Titanic was a mystery. Since then, there have been many expeditions to see the Titanic, some for scavenging, others for research. An intact glass pane from the window of Captain Edward J. Smith's cabin hangs open on the sunken Titanic. Titanic lies 4 kilometers (2.5 miles) beneath the North Atlantic Ocean off the coast of New Foundland. 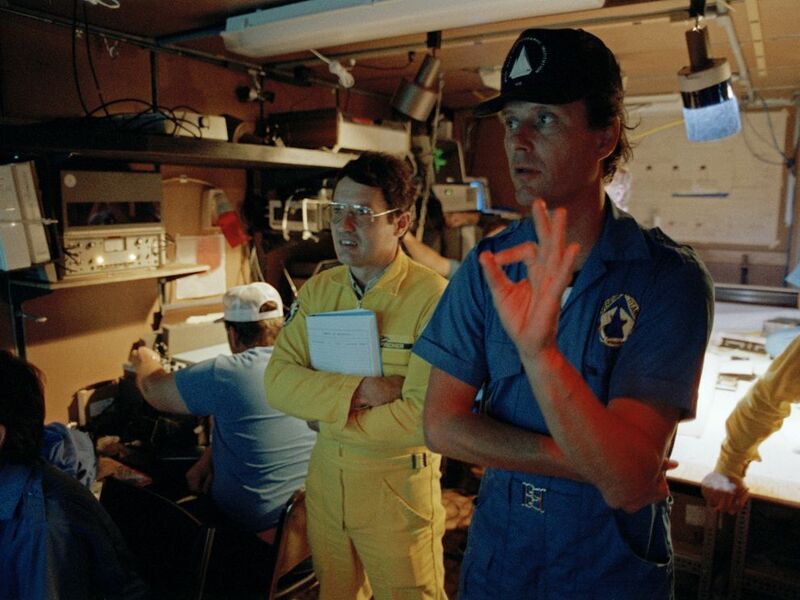 The ship's location was co-discovered by Robert Ballard in 1985. 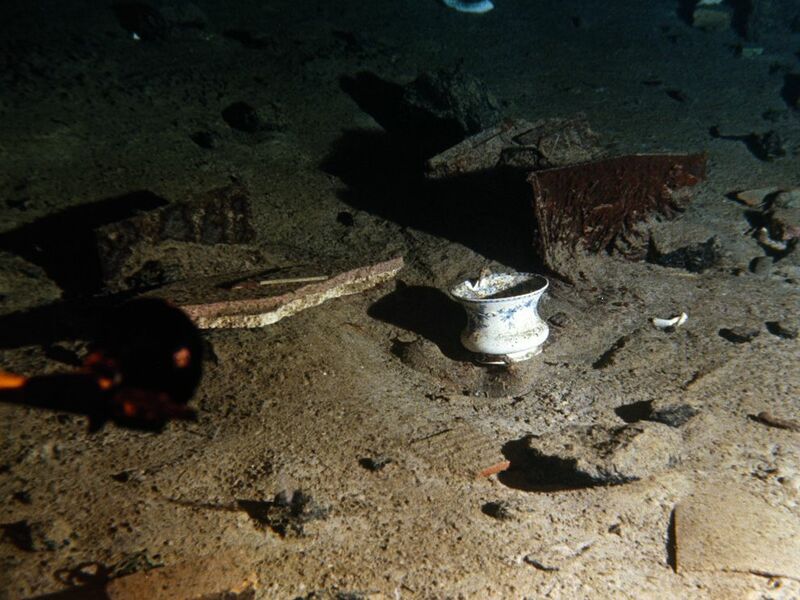 A ceramic bowl and other debris from the Titanic litter the floor of the Atlantic Ocean off the coast of Newfoundland. The R.M.S. Titanic sank in April 1912 after striking an iceberg. The sunken ship's exact location was unknown until 1985, when Robert Ballard and Jean-Louis Michel co-discovered its resting spot. In recent years, there has been debate on whether or not artifacts should be removed from the Titanic site. On his 1986 trip down to the Titanic, Robert Ballard and his team left a commemorative plaque on the deck of the sunken R.M.S. Titanic. The plaque says "In memory of those souls who perished with the Titanic April 14/15, 1912. Dedicated to William H. Tantum, IV whose dream to find Titanic has been realized by Dr. Robert D. Ballard. The officers and members of the Titanic Historical Society inc. 1986". 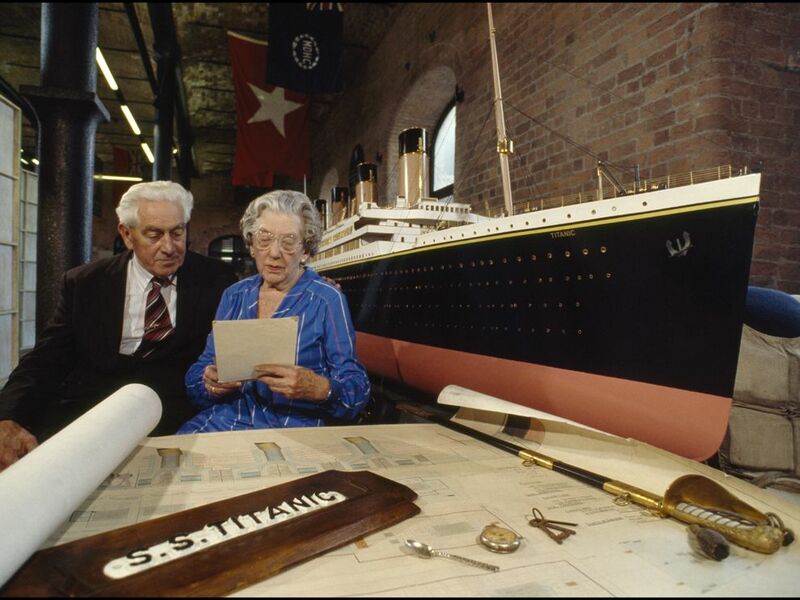 Two Titanic survivors examine Titanic mementos at a museum in Liverpool, England, in 1985. Stories of Titanic survivors have long been a subject of fasciniation. The youngest person aboard the Titanic was a third-class passenger named Millvina Dean. She was three months old when she was loaded into a lifeboat at the time of Titanic's sinking. Millvina died in 2009 and was the last living survivor of the Titanic. 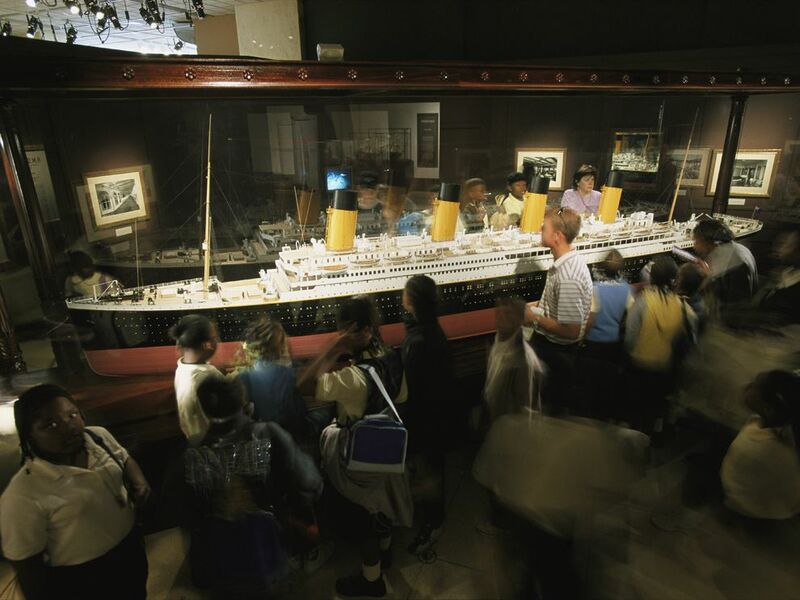 Tourists examine a scale model of the Titanic at a National Geographic Society exhibit in Washington, D.C. The story of the Titanic continues to captivate people, inspiring films, clubs, museums, websites, and historic reenactments. April 15, 2012, marks the hundredth anniversary of the sinking of the Titanic. The R.M.S. Titanic, an ocean liner commissioned in England in 1910, was one of the most luxurious, state-of-the-art ships of its day. At nearly 269 meters (882 feet) long, the ship was thought to be unsinkable. However, on April 15, 1912, the unthinkable happened. During the ship's maiden voyage from Southampton, England, to New York City, New York, the Titanic struck an iceberg in the North Atlantic Ocean off the coast of Newfoundland, Canada and sank, tragically taking the lives of more than 1,500 passengers and crew. It was, and remains, one of the greatest nautical disasters in history. The Titanic lay undiscovered at the bottom of the ocean for another 73 years, until oceanographer and National Geographic Explorer-in-Residence Dr. Robert Ballard, of the Woods Hole Oceanographic Institute, co-discovered it in 1985. Since then, there have been many expeditions to see the Titanic, some for scavenging, others for research. Some expeditions are conducted by people who simply continue to be fascinated by the ship and its icy fate. The story of the Titanic continues to captivate people, inspiring films, clubs, museums, websites, and historic reenactments. The ocean current that pushed the iceberg into the path of the Titanic is the Labrador Current. There are 150 victims of the Titanic buried in Halifax, Nova Scotia, Canada, the largest number anywhere in the world. After the Titanic sank, the International Ice Patrol was created to monitor icebergs in the North Atlantic. The Titanic had two sister ships, the Olympic and the Britannic. remembrance of a past event, usually recognized on the day the event happened every year. to hold the attention of. having to do with oceans and sailing or navigation. large ship used to transport people or goods to and from ocean ports on established routes, or lines.